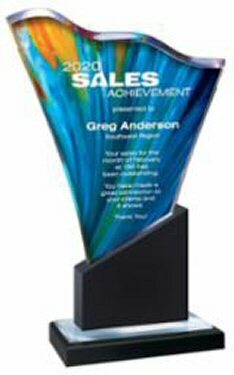 Vibrant handcrafted wave cut Lucite award with a mirror bottom on a black marble base. Free reverse laser engraving gives this made in the U.S.A. acrylic award a sensational look. Before shipping, a proof will be emailed for your approval.